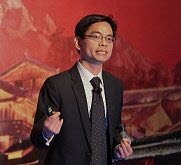 Willie Low is Director, Portfolio Marketing for Asia Pacific & Japan at Ciena Corporation, and is responsible for driving growth across the product portfolio in multiple markets. He is based in Singapore. We’re at a tipping point in how technology benefits our daily lives. What used to sound like distant goals for communication networks within Asia’s governments and technology community are now upon us and require network transformation. Governments are racing toward smart city development, because of their potential to turn data insights into economic and quality of life benefits. This is profoundly relevant to Asia, which already has the world’s highest concentration of megacities. 5G goes hand in hand with smart cities, so it’s no surprise that Asia is home to several national plans for mass availability of 5G within the next 2 years. In recent years, Asia’s consumer expectations for streamed, video-centric entertainment – both at home and on the go – have gone from nascent to everyday. As Ciena’s Rick Seeto explained, new streaming services are coming online every year in the region. Ciena 6500 Reconfigurable Line System (RLS), which enables openness, won Optical Network Innovation of the Year. Blue Planet Route Optimization and Assurance, enabled via the capabilities from our recent acquisition of Packet Design, won Analytics Innovation of the Year. 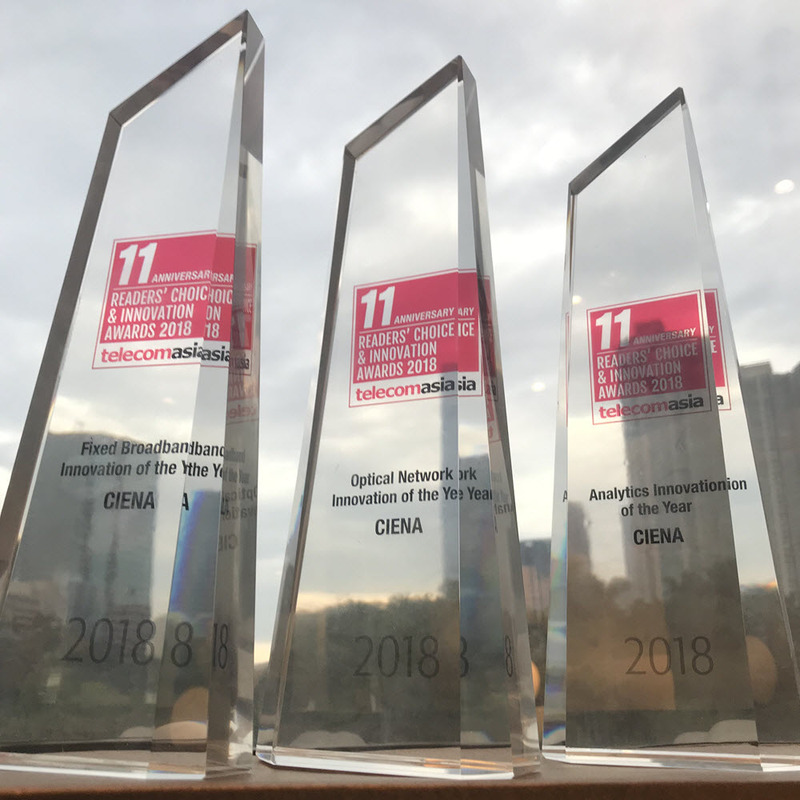 The Ciena 5170 Service Aggregation Switch, which scales performance to the edge, won Fixed Broadband Innovation of the Year. Let’s dig into more detail on why smart cities, 5G and video streaming demand such network innovations. 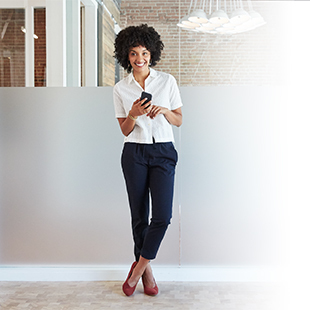 With the above new applications, legacy systems make anticipating and responding to dynamic traffic levels and service requests nearly impossible. A programmable infrastructure enables providers to change and reconfigure the network on the fly. Video streaming, smart cities and 5G present service providers with an increasingly complex and dynamic environment. 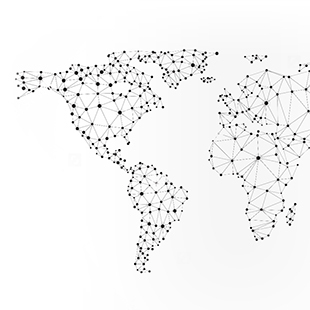 Collecting network performance data and analyzing it using machine learning provides the ability to more accurately predict potential network problems and anticipate trends, turning mountains of collected data into actionable insights. This enables the network to adapt to customer needs quickly and securely. The network must be ready for tomorrow’s demands driven by 5G availability, smart cities and related cloud services. 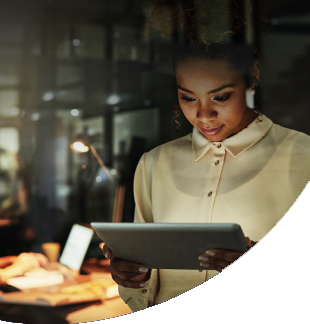 This network edge—where the consumer meets the network—is one of the key determinants of the overall user experience. It must have the capacity, flexibility, and scalability to meet these demands. It won’t be easy to transform networks to keep up with Asia’s digital leaps forward exemplified by 5G, smart cities and video-centric entertainment. But by moving toward open, intelligent networks, right to the edge, service providers can maximize how we connect to the world around us. 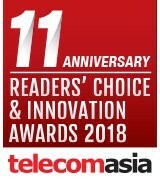 Below are pictures and award logos from the 11th Annual Telecom Asia Readers' Choice & Innovation Awards gala celebration. 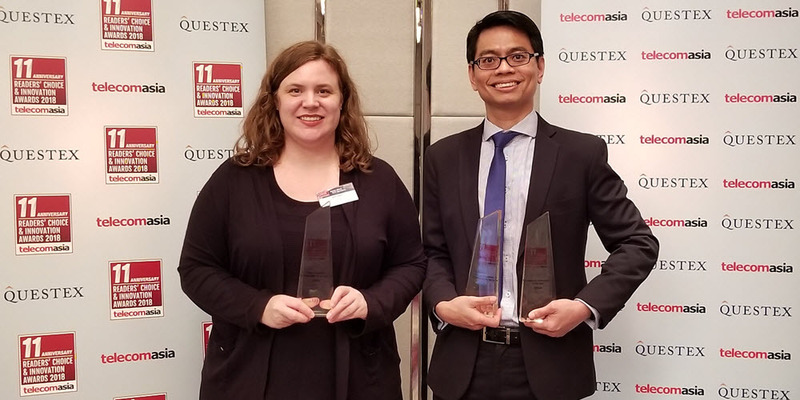 Ciena's Beth Evans and Willie Low accepting Ciena's awards at the gala celebration.